The goal of this study was to engage with adult women refugees from the Democratic Republic of Congo (DRC) to understand their perceptions and experiences with integration, resettlement, and health in Indianapolis. The focus of this paper is the findings related to integration. The study was conducted in partnership with a refugee resettlement agency who identified women from DRC as a population of interest since they are a relatively new refugee group to both the USA and Indiana. A community engaged approach was used to conduct a qualitative study utilizing both the Photovoice method and semi-structured interviews with 16 women. Triangulated analysis of interview transcripts, photos, and captions created from the Photovoice discussions revealed five major themes of language acquisition, lack of stable jobs, transportation, affordable housing, and social support. Our study concludes that emphasis on early self-sufficiency negatively affected this group of refugees’ language acquisition, which in turn adversely affected multiple other aspects of the integration process including access to well-paid jobs, affordable housing, and transportation. The authors argue that emphasis on social support, both within the Congolese refugee community and the local population, along with group learning can play a critical role in improving the integration experience of women refugees. The authors thank the University of Indianapolis Interdisciplinary Programs for providing the seed money for the project and Exodus Refugee Inc., our community research partner, for their support throughout the project. This study was funded by the Indiana Minority Health Coalition. Flahaux, M. & Schoumaker, B. (2016). Democratic Republic of the Congo: a migration history marked by crises and restrictions. Migration Policy Institute. Retrieved from https://www.migrationpolicy.org/article/democratic-republic-congo-migration-history-marked-crises-and-restrictions. Accessed 21 April 2018. Hello Neighbor. (n.d.). Retrieved from https://www.helloneighbor.io/. Accessed on 25 July 2018. Indiana’s Refugee Order: Exodus, Continued. (2016). The Economist. Retrieved from https://www.economist.com/united-states/2016/03/19/exodus-continued. Accessed on 4 February 2019. Kirchhof, A. (2018). Thousands flee violence in south-eastern DR Congo. United Nations High Commission for Refugees (UNHCR) News. Retrieved from http://www.unhcr.org/news/latest/2018/2/5a8c18004/thousands-flee-violence-south-eastern-dr- Congo.Html. Accessed on 30 July 2018. McMorrow, S., & Saksena, J. (2017). Voices and views of Congolese refugee women: a qualitative exploration to inform health promotion and reduce inequities. Health Education & Behavior https://journals.sagepub.com/doi/10.1177/1090198117726572. Nadler, A. L. (2017). The effect of working ban periods for asylum seekers on refugees' employment rates in Europe (Order No. 10270195). Available from ProQuest Dissertations & These Global. (1896102297). Retrieved from https://repository.library.georgetown.edu/bitstream/handle/10822/1043986/Nadler_georgetown_0076M_13641.pdf?sequence=1. Office of Refugee Resettlement. (2018). Retrieved from https://www.usa.gov/federal-agencies/office-of-refugee-resettlement. Accessed on 22 July 2018. One for the kitty [Blog post]. (2012). The Economist. Retrieved from https://www.economist.com/blogs/banyan/2012/11/chit-funds-india. Accessed on 13 May 2018. Refugee Processing Center. (2019). Admissions and arrival interactive data. Retrieved from http://ireports.wrapsnet.org/Interactive-Reporting/EnumType/Report?ItemPath=/rpt_WebArrivalsReports/MX - Arrivals by Destination and Nationality. Accessed on 28 January 2019. Spencer, S. and Cooper, B. (2006). 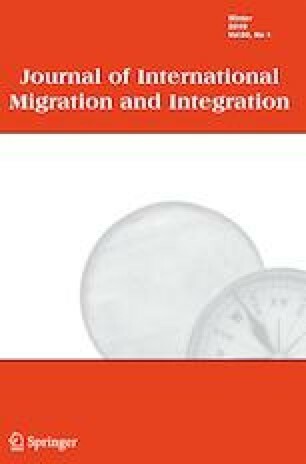 Social integration of migrants in Europe: a review of the European Literature 2000–2006. Retrieved from https://www.compas.ox.ac.uk/2006/er-2006-integration_europe_literature_review_oecd/. Accessed on 1 September 2018. United Nations High Commission for Refugees (UNHCR). (2018). [Graph illustration]. Figures at a glance. Retrieved from http://www.unhcr.org/en-us/figures-at-a-glance.html. Accessed on 31 July 2018. US accepts more refugees from DRC than Syria amid warnings over militants. (2016). The Guardian. Retrieved from https://www.theguardian.com/world/2016/oct/03/refugees-drc-congo-us-syria. Accessed on 4 February 2019. U.S. Department of State. (2018) The reception and placement program. Retrieved from https://www.state.gov/j/prm/ra/receptionplacement/index.htm. Accessed on 23 July 2018. U.S. Department of State Refugee Admissions Program. (2018). Bureau of Population, Refugees, and Migration. Retrieved from https://www.state.gov/j/prm/releases/factsheets/2018/277838.htm. Accessed on 23 April 2018. Zetter, R., Griffiths, A., Sigona, N., Flynn, D., Pasha T. and Beynon, R. (2006). Immigration, social cohesion and social capital: what are the links? (Report to the Joseph Rowntree Foundation). Retrieved from https://www.jrf.org.uk/sites/default/files/jrf/migrated/files/9781899354440.pdf. Accessed 2 September 2018. Zong, J. & Batalova, J. (2017). Refugees and asylees in the United States. Migration Policy Institute. Retrieved from https://www.migrationpolicy.org/article/refugees-and-asylees-united-states. Accessed 31 July 2017.